Repair Your Transmission at Steve’s Imports! If you want you car to last longer down the road, having a high-functioning transmission is the key. Because transmissions play such a crucial part in your engine’s performance, the transmission is prone to all kinds of wear-and-tear damages that can worsen over time, especially without regular diagnostics and maintenance. Instead of ignoring the problem, take your car to Steve’s Imports’ Auto Repair Shop for routine diagnostic and transmission repair in Clackamas to give your transmission a needed check-up. Our trusted mechanics can trouble shoot, come up with reasonable estimates, and get to work. How do you know what to look for when your transmission is acting up? There are a number of tell-tale signs that range from sounds, smells, and feeling while driving. If you’re experiencing any of the following symptoms of transmission damage while driving, don’t wait to make the necessary repairs. Odds are that you may smell burning due to your transmission overheating. The cause of overheating transmission can be attributed to dirty or low levels of transmission fluid. Transmission fluid is essential to cooling off and lubricating the complex inner-workings of your transmission. Solution: A simple fluid change can fix this problem, but if you continue driving with low or dirty transmission fluid, you could pay dearly with costly replacements down the road. When your check engine light comes on, this is an early warning sign that needs to be addressed. Your car is speaking up and telling you to take it to a professional who can service your engine. 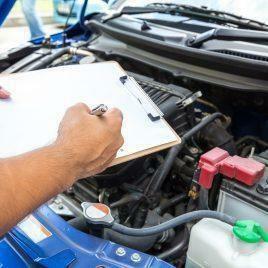 Solution: Take your car in for an inspection and diagnostic today. Sometimes engine lights come on without there being a problem. When you hear a strange “clunk” noise when shifting into neutral, it could indicate mechanical wear, which may require replacing some parts. Slipping gears–which happens when your car doesn’t stay in the gear you intended it to be driven in–can be extremely dangerous. Losing control of the speed and function of your vehicle demands immediate service from a mechanic. Especially for manual drivers, damaged plates can be related to the clutch, or a bad synchronizer. To be sure of what’s causing the strange clunking, come to a mechanic at Steve’s Imports today! Our mechanics make sure to run extensive diagnostic tests to zero-in on your transmission problems. Once we understand where the problem is coming from, we can get to work on repairing your transmission to have it running smoothly on the open road in no time. Our repairs range from minor fluid changes to long-term fixes for your transmission. 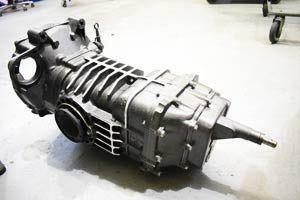 We service any make and model, foreign or domestic, and we’ll replace any damaged clutch or gear with industry-leading parts. Our mechanics come up with estimates based on part costs, labor, and diagnostics. We break down costs of the parts and service and answer any questions you have. For Speedy Transmission Diagnostics Repairs, Call Steve’s Imports Today!